Takeaways are usually fun little freebies you can collect at gallery openings, anything from business cards to stickers. The _gaia studios crew is very pro takeaway which means lots of extra little details to plan (I love it!). It’s necessary to strike a nice balance between creation time, fun, and expense since freebies are FREE and time is money. I updated my business cards (still using my pearls and lace turkey) and included more contact info than usual, including a Google voice number (I’m a little iffy about just passing my cell out to randoms). 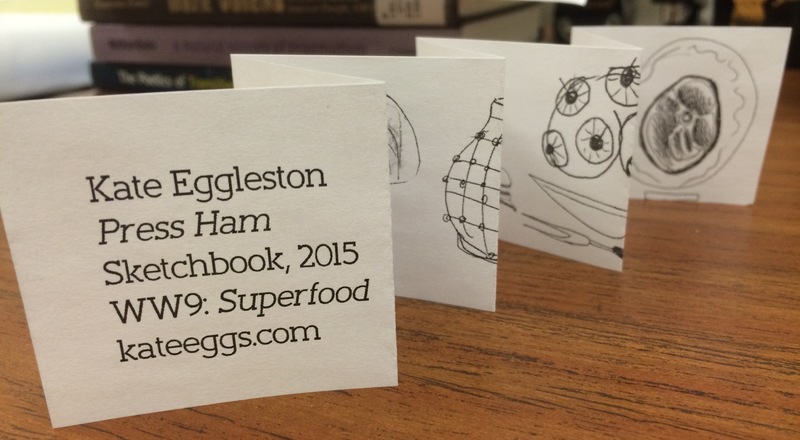 I also created a ham sticker and a mini accordion book (still working on this). 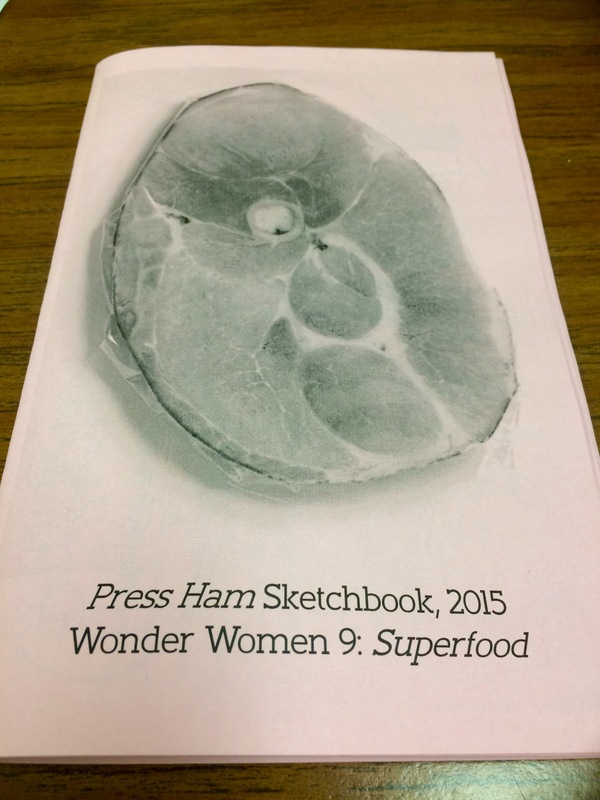 There’s also a zine version of the Press Ham sketchbook photocopied in pink that I’m considering producing for sale in the gift shop (a couple bucks maybe). I’m going to be selling hand dyed and painting silk scarves with ham motifs in the gift shop. Can’t wait for my supplies to come in from Dharma Trading (great resource! ).